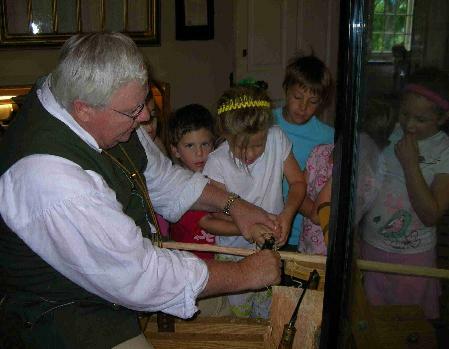 Herb is listed in the, Society of American Period Furniture Makers under American Period Furniture 2009 contributed with his, "Early American Comb-back Windsor Chairs." "With measuring as many chairs as I did from the outset I started realizing that I was beginning to truly understand this furniture art form. The time and discipline to measure them along with sketching became an on-the-job training program that accelerated my insight and understanding. After doing the data collection on the chair I'd take pictures. At first I'd take 25 to 30 pictures, eventually that grew to a hundred or more with many being macro close-ups showing the handiwork details. Again my original objective for the study was to improve my chair building skills. At that point it was impossible to stop increasing my curiosity and the list of questions I thought of and wanted to find answers for." 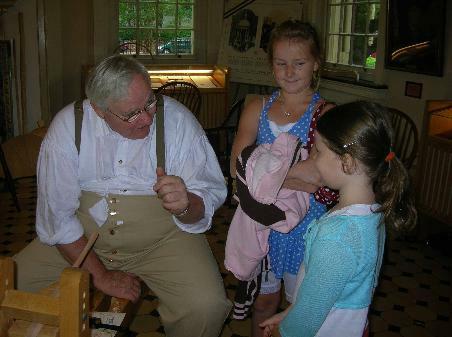 History repeats itself as children of all ages give their undivided attention as Herb exhibits his craftsmanship which has always been a hallmark of the American way of life at Philadelphia's Carpenters' Hall over the July 4th holiday. 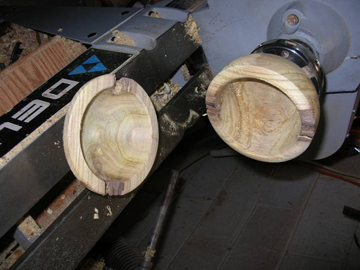 Herb’s fascination for his trade has placed him on a quest to become a better craftsman and put into words his knowledge and skills. "Field work as I called it was only the beginning. After completing my field work as I started calling the measuring and picture taking sessions, I would spend time consulting the books written by Nancy Goyne Evans and Charles Santore and others while spending hours studying the pictures during the field work sessions. Eventually I found that the time I spent in home study - analysis was twice the time I spent in the field. To my surprise with additional studies of a particular chairmaker's chair style on other examples of chairs he made in that style I began to be able to subjectively exam a chair and say this chair was made by ........The process I developed by accident helped me acquire a skill I thought was out of reach for someone who came to this party so late in his career. " 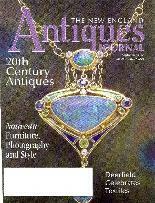 Publications like the New England Antiques Journal. One of Herbs articles was in Sept. 2007 addition. This paragraph of the article clearly explains the connection between his craft and his family in one word, Love. It’s been said, “Imitation is the best form of flattery.” If that’s the case, Herb Lapp must be extremely satisfied by the works created by his grandson.